Speaker, 0.5w, 8 ohm, custom bracket, rubber gasket. 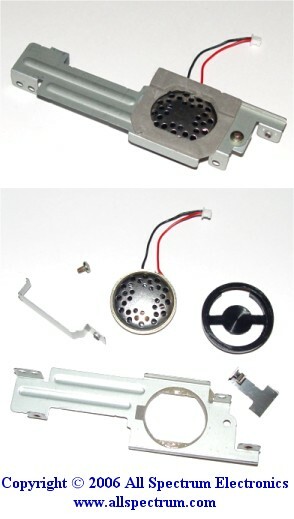 Speaker can be easily removed as shown in picture. Metal grill on speaker. Speaker is 1.1" in diameter and 0.27" thin. Comes in individual sealed plastic bags.